Morningside had to produce something near their best to stave off a revitalized Redland in one of the best games of the season at Esplen Oval today. The Panthers had to work overtime to shake the new-look Bombers, winning every quarter by a small margin to post a 17.13 (115)-11.15 (81) victory. Redland matched the Panthers for long periods, which was reflected in them taking the ball inside 50m more often than the opposition - 57 times to 53 - but Morningside was more efficient. The Panthers shot down the Bombers with crucial bursts in each of the opening three quarters. The game started at breakneck speed with both teams moving the ball quickly with their run and carry. The burning hot sun did nothing to slow them and both launched waves of attacks from their half-back lines. Morningside had done their homework on gun full-forward Jason Eagle, dropping ruckman Jacob Gough into the hole in front of him. Redland opposites Jeff White and Jarrod Grimm also floated a kick behind the play. Consequently it took more than half a quarter for the opening goal to Bomber Matt Thompson. Morningside then conjured three goals in three minutes, with Gough and his midfielders winning key centre breaks. Eagle had three opportunities in the opening term for a behind, a goal, and an intercepted centring pass. The Panthers then put on two goals in the opening three minutes of the second term to open a 19-point lead and Bombers supporters were wondering whether the floodgates would open. Zillmere recruit Austin Lucy kicked three of his side' first five goals, but direct opponent and former Caloundra clubmate Josh Norman did plenty of good things and gradually stifled his influence. Phil Carse and James Charlesworth came strongly into the game and the Bombers got the margin back to 14 points at the long break, with Eagle taking some super marks in front of goal and finishing with 3.3 of his team' s 5.6 for the half. Morningside opened their matchwinning lead with three goals in the first nine minutes of the third term, taking the margin out to 32 points. Gough dominated the taps against Jarrod Grimm and newcomer Sam Faure was dominant at ground level, with David Lillico and Paul Shelton also heavily involved. When White went back into the ruck, it slowed the onslaught and some good defensive work by Norman and Justin Myers got their side back into the contest. 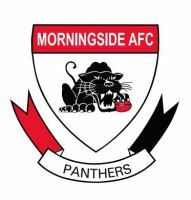 However, Morningside continually created the loose man with their run from half-back and through the middle of the ground, and key forwards Shaun Mugavin and Kent Abey were outstanding after the long break. Mugavin led and marked strongly to finish with five goals, four in the second half, while Abey was too strong for Mick Watt and also booted four majors in the final two quarters. Eagle took a trademark, spring-loaded forward diving mark and goalled midway through the third term, but arose clutching his hamstring. He continued on and booted two more goals in the final term for a tally of 6.3, but left the field at the 20-minute mark when the cause was lost. Redland officials described the hamstring injury as a 'tweak' but his presence for next Saturday's big home clash with the Northern Territory is under a cloud. The Bombers did get back to within 23 points early in time-on of the final term, but Morningside were also just too composed when it mattered. Gough was outstanding all day, Shelton directed traffic well in the midfield, Lillico was outstanding for the first half until tiring, and Faure showed he is a very good pick-up from North Ballarat. Brett Connell was not disgraced against Eagle and never stopped trying, while Nick Tomlinson and Nathan Kinch generated great momentum from half-back. Charlesworth did some magic things and was outstanding, as was fellow Tasmanian recruit Tom Salter. "I was pleased with the way we finished the game. The boys took them on and ran and showed we weren't going to cop it and lay down," said Bombers coach Matty Francis. "Josh Norman was terrific, Phil Carse was tremendous, Matty Thomson came back in and did a good job for us. Justin Carey played his best game for the year." While Morningside was 0-2 going into the game, they had been beaten by heavyweights Brisbane and Mt Gravatt, although coach John Blair was a happy man to get four premiership points on the board. "They (the losses) were against quality sides. You do worry when you are 0-2, but in saying that, if there's such a thing as an honourable loss, we had that against the Lions," Blair said. "We weren't honourable last week against Mt Gravatt. Mt Gravatt smacked our backsides and in our opinion we were embarrassed the way we went about it. "This week we had work hard to rectify a few things. Hopefully we're going down the right track."